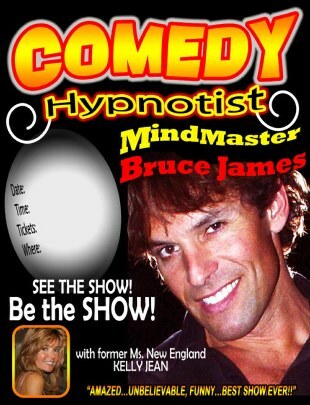 Bruce James Comedy Hypnosis, with Mind Master Hypnotist Bruce James available for comedy clubs and corporate entertainment and fundraising events. 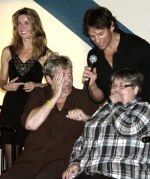 - We will customize the show to meet your needs. - We have a fundraising guidebook to help you succeed. 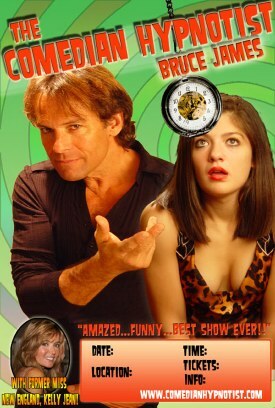 We often end the show with post hypnotic suggestions that bring the volunteers to life again after leaving the stage and sitting in the audience. Expect to see celebrity performances i.e. Brittany Spears, Elvis or even Richard Simmons!